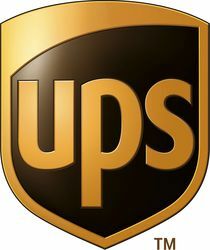 UPS is the world's largest package delivery company, in terms of revenue and volume, and a global leader in supply chain solutions. They deliver packages each business day for 1.8 million shipping customers to 6.1 million consignees in over 200 countries and territories. In 2011, they delivered an average of 15.8 million pieces per day worldwide - or 4 billion for the year. In addition, their supply chain solutions capabilities are available to clients in 175 countries and territories. Although their primary business is the time-definite delivery of packages and documents, they have extended our capabilities in recent years to encompass the broader spectrum of services known as supply chain solutions, such as freight forwarding, customs brokerage, fulfillment, returns, financial transaction and even repairs. They are also a leading provider of less-than-truckload transportation services. UPS cut their dividend during the 2009 recession but have been steadily increasing it since and are projected to continue the dividend increases.